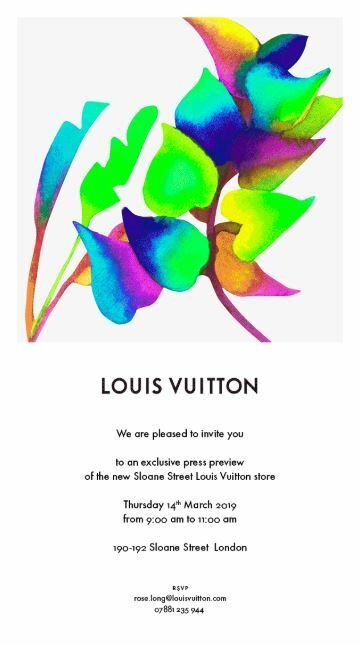 This week, the most viewed press release was from Kate Finnigan, this is what she thought: "What you might not be able to see on here is that the illustration on the invitation is actually an animation that changes colour like a chameleon. It's pretty and so much more inviting somehow than a picture of a shop front. Lured me in anyway!" Former Vogue contributing editor and Harper’s Bazaar staffer Charlotte Sinclair has written for the FT, Conde Nast Traveller, Departures and How to Spend It. In between assignments she has also written two design books, Vogue On Versace and Vogue on Dior. 1. What makes you open an email from a PR? An enticing piece of news regarding a new opening, new destination or an interesting person doing something exciting. As with all journalists, I am driven by the new and newsy, but I also really love established greats (whether that’s a person, place or brand) doing something interesting. A hotel producing a line of clothing, for instance. 2. Would you open emails from PR’s you don’t know? Absolutely. Of course relationships matter to journalists and trust in a PR’s experience and authenticity is essential, but I’m happy to work with new people if the story is of quality. It’s all about the story, ultimately. 3. Do you answer your landline during a working day? I don’t have a landline. But I answer my phone regularly, unless I’m on deadline, in which case everyone (including my husband) goes to voicemail. 4. Do you like images within a PR pitch? Always. Especially with travel or design stories, visual imagery is essential to conjure a sense of what is being described. 5. When is the best time for you to meet a PR? 6. And which day suits the most? 7. What are your top 2 tips for a PR trying to secure coverage? Use email but judiciously, don’t follow up ad nauseam if you’re not getting any response. Journalists are either busy or not interested. By rights - and good manners - they should respond either way but, let’s be real, sometimes they don’t. Knowing when to give up is essential. But actually this derives from a larger, more central, point which is to know your market. Know the interests of the person you’re pitching to and then your hit rate will be higher (and your need to follow up ad nauseam greatly reduced). I think journalists like surprises, they like lateral thinking - pitching a house story to a fashion writer, for example can be a great idea, since the worlds are closely interconnected. Pitching a fantastic new restaurant to a travel writer is also a good idea since food is such an important part of building out a destination. I would recommend a forensic-level study of your market and the journalists who work within it and, crucially, their specific personal interests (we all have them) - but also a venn diagram-type knowledge of how those writers and their interests interconnect with others. Travel writers might also write about fashion for example: a quick search of their work will tell you all you need to know and allow you to be far more targeted. 8. Are you happy to be contacted via social media / what are the boundaries? Yes, happy, but if I don’t answer a DM it’s usually because I’ve been pitched something that’s totally out of my interest or remit. Again, know your market, know your journalists’ interests. 10. Stylist or The Spectator? Neither. The New Yorker please.